Michael Cheika believes the Wallabies need to stoop to the questionable tactics of others to avoid more scrum woes at next year's World Cup. 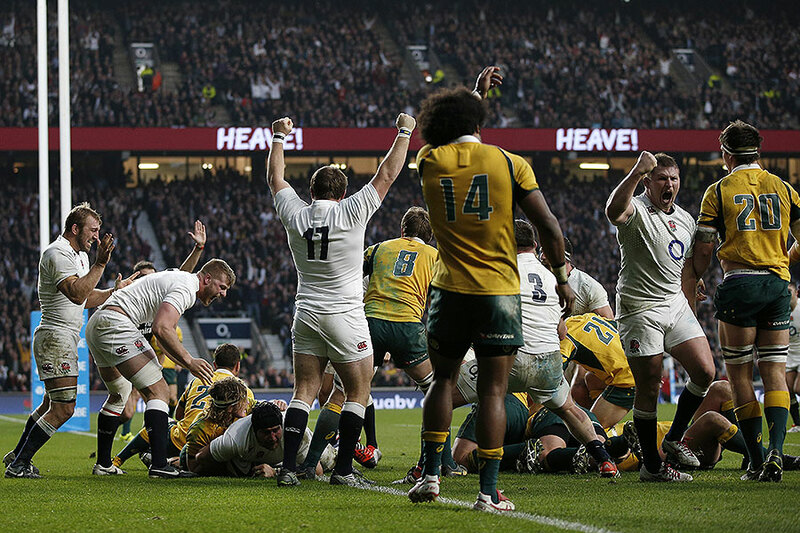 Australia's long-standing problem with the set-piece reared its ugly head again as the Wallabies' pack was dismantled by England in a 26-17 defeat in London on Saturday night. Cheika said after last week's loss to Ireland an unfair perception among referees was hurting Australia and wrote to the IRB's director of referees about the matter. However, Cheika was again left frustrated at Twickenham, suggesting England's turning in the scrum wasn't properly penalised. While the coach admitted England were simply too good at time, Australia could no longer afford to be "too honest" in the area. "Some scrums we weren't good enough, out and out, and some scum were definitely open to interpretation," Cheika said. "Because they (England) have a good reputation, we have to improve ours if we are going to get the rub of the green on those interpretation calls. We need to change some things, technique and strategy; perhaps a bit more wheeling or something because that seems to be accepted. Perhaps we are just a little bit too honest, maybe, in the scrum." Australia used the same front three of James Slipper, Saia Fainga'a and Sekope Kepu in all four Test in Europe but Cheika also forecast personnel changes next year. The coach said the Wallabies needed to turn their "consistently inconsistent" scrum into a strength and technical aspects of the game would be a strong focus in coming months. "We've got to be better at dealing with that part of the game - the scrum, maul, bomb," Cheika said. "Because we're playing a lot of rugby and, yes, there's a lot of stuff happening, a lot of tries and all that, but we've got to get both of those things right and we'll be in a good place."